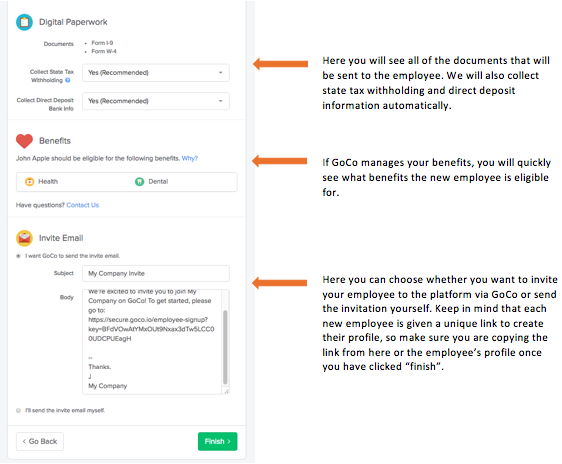 How do I add a newly hired employee or contractor to GoCo? So you have set up your company in GoCo. Business is booming and you need to add some people to your team. Here’s how. 3. 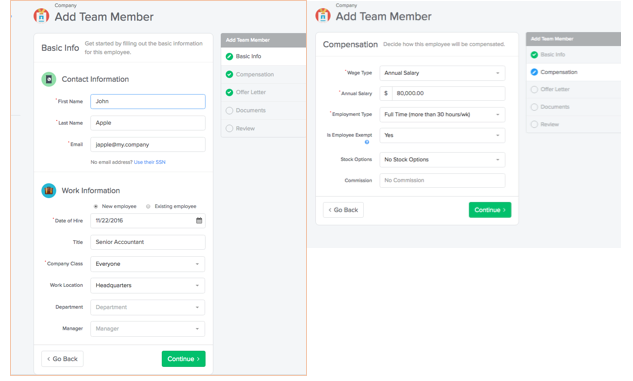 Next you will start adding all the new employee’s basic info and compensation details. 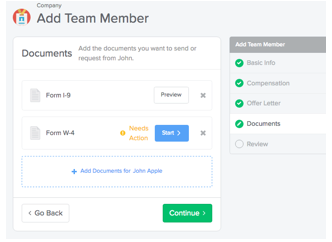 7. Review all of the employee information and invite your new team member to GoCo! That’s it! 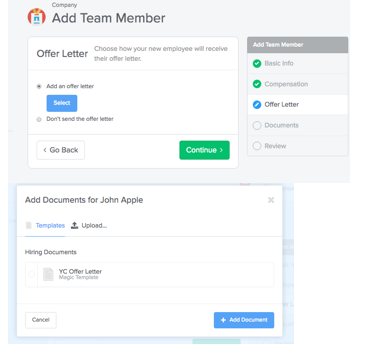 It is now your new employee’s turn to create their profile and sign their documents.